Worldwide in association with humans. 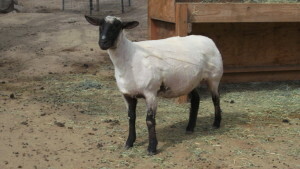 Sheep are found in a wide variety of habitats from deserts to temperate mountain forests. Sheep feed mainly on pasture grasses, but they also eat woody plants, broadleaf plants, buds, weeds, and other plants that may be toxic to other animals. On farms, sheep can be fed a variety of hays and oats.